Everyone learns differently. That’s pretty much a fact. A successful Pilates teacher will, within a few sessions, know how to communicate directions in a way that a student can understand easily. Whether it’s picking the right verbiage, tactile cueing, to demonstrating the exercise, being able to explain the exercises clearly is paramount. Olga Roberts, Founder of Core Allegro is a professional ballet dancer and master Pilates, teacher. She graduated from ballet training from Rambert School of Ballet in London and received a Foundation /BA(Hons) Degree. Later she joined several dance companies in Germany, Greece, and Australia. In addition, Olga has a Specialist Teaching Diploma in Contemporary Dance from Laban Center in London. 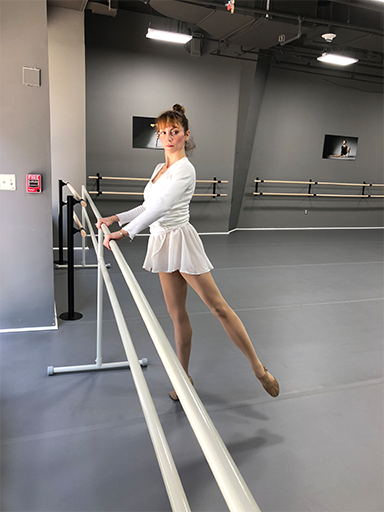 At the age of 11, she began Pilates training as a young dancer. TRUST: No matter the goal of each client, they believe their teacher can guide them to it safely, effectively and mindfully. Whether it's rehabbing an injury, recovering post-natally or advancement of their personal practice, session after session, their teacher always brings them one step closer to realizing their goals.